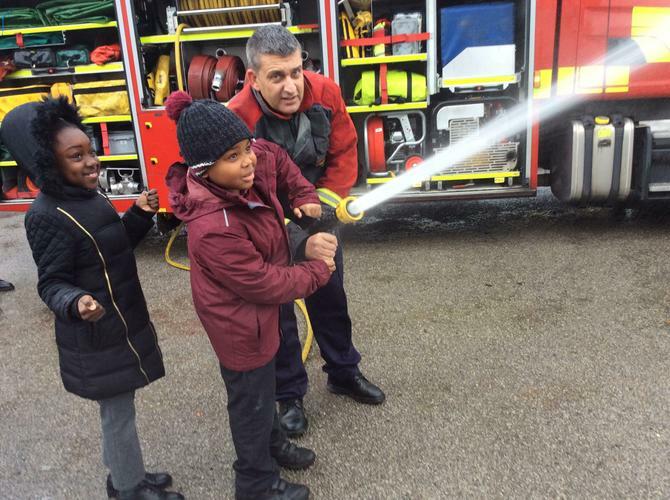 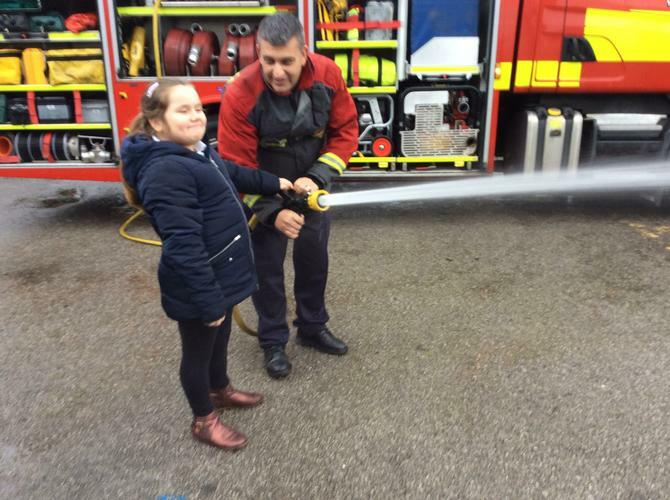 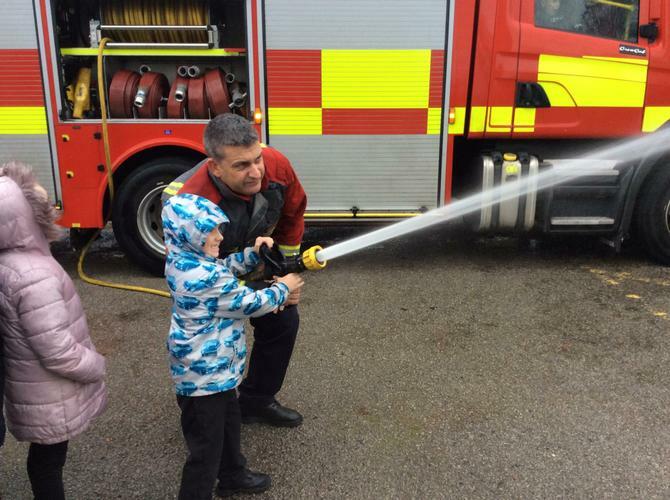 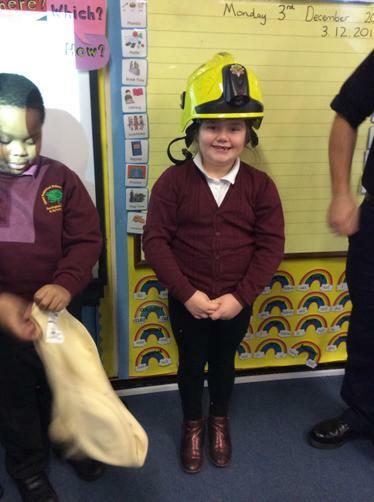 We had a visit from the Fire Service! 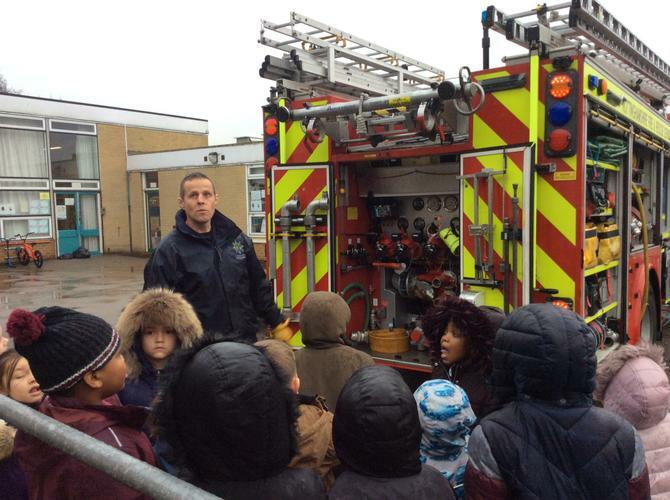 The fire service came to Southglade to talk to us about the Great Fire of London and how the fire service is nowadays. 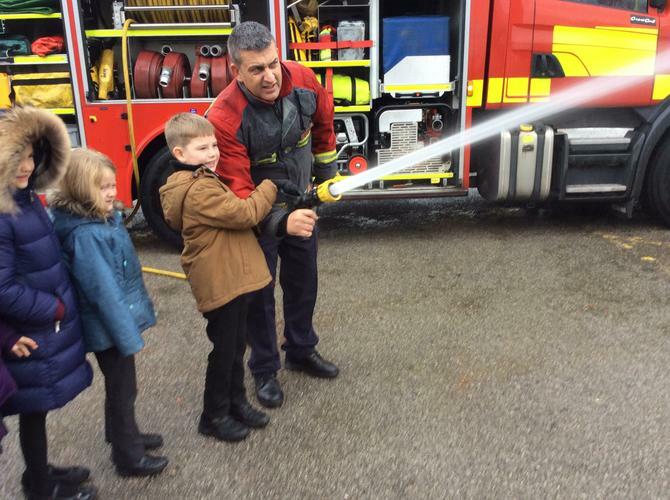 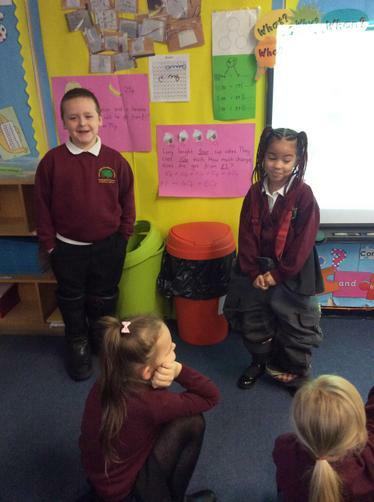 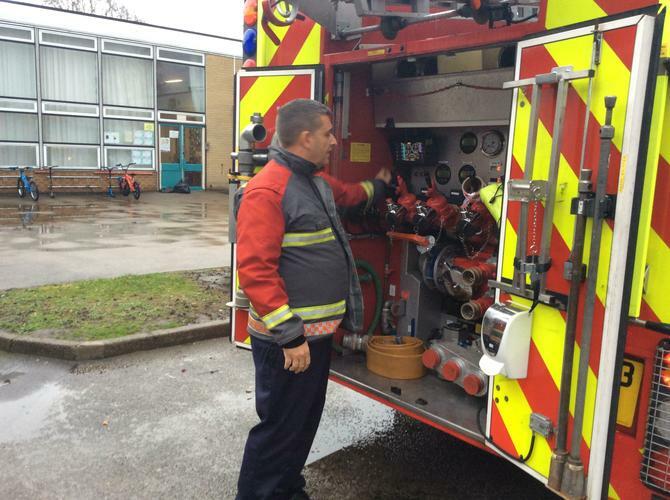 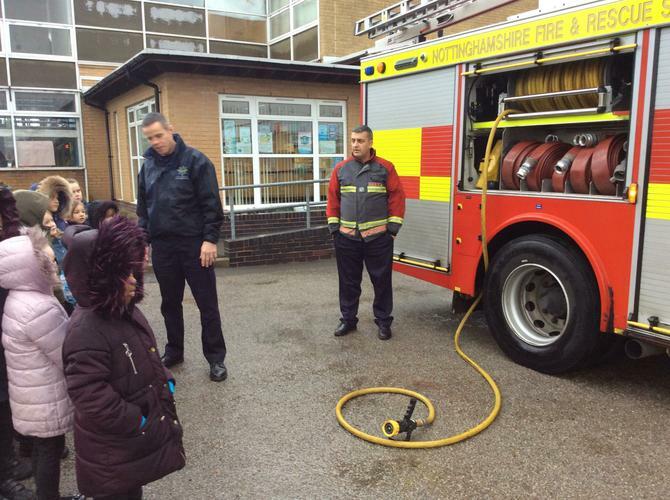 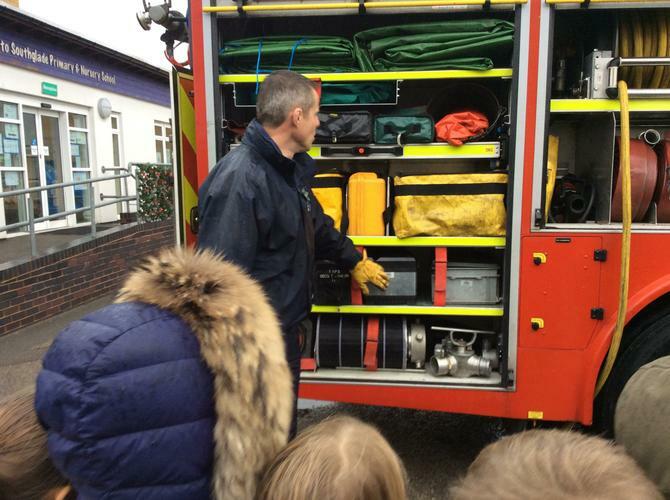 They spoke about the equipment they have and we learnt about fire safety. 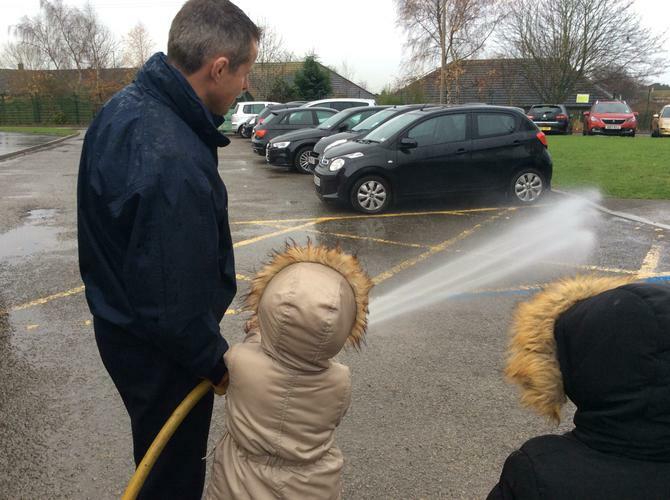 We got to squirt the water from the hose, it was very fast! 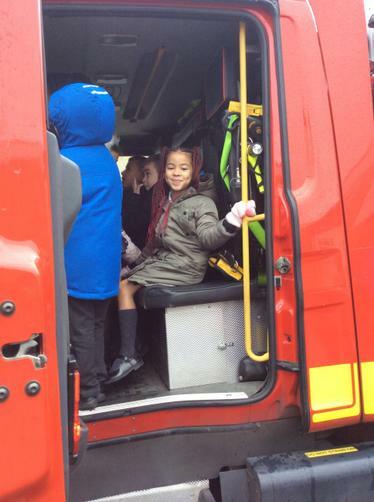 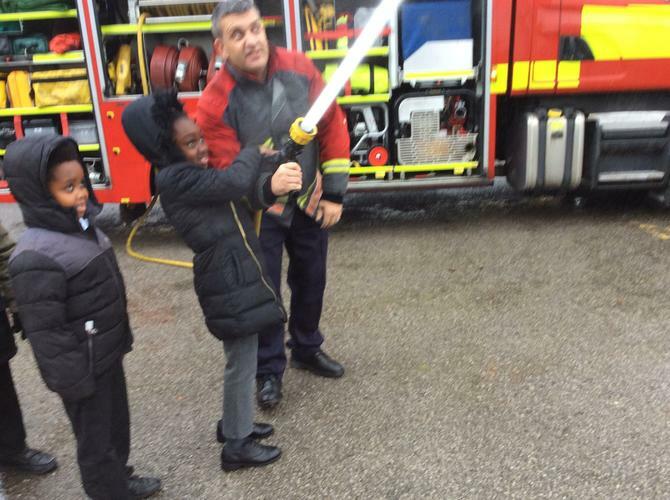 We also got to try on some equipment and go on the fire engine.